When it comes to consulting with your clients you have a firm handle on whether or not they’re financially secure enough to try to expand. But when you take that same look at your own books – to see if you’re ready to grow – you’re just not sure. The leap just seems so much bigger when it’s the company you’ve built. The risks seem larger. This blind-spot when it comes to your own firm may be needlessly holding you back from growing your firm into its full potential. Here’s how accounting outsourcing can help you take a firmer hold of your own numbers. Expansion can entail hiring on new people, offering new services, or a combination of the two. Hiring on new people can mean that you may have to fire them down the road if the expansion doesn’t pull in the new broader customer base that you’re hoping for. Even if it doesn’t come to that, depending on the services you offer your work is likely to have its heavy seasons alternating with its much lighter seasons. So do you hire with the lighter seasons in mind, knowing your in-house talent will have to really buckle down when the heavy workloads arrive? Or do you hire for the heavy season, knowing you’re going to be paying people to sit there and twiddle their thumbs when the work lets up? If you don’t go the accounting outsourcing route and choose to hire in-house workers then you’re going to have additional overhead to cover – higher rent for a bigger office space, computers, office furniture, benefits, health coverage, bigger utility costs, and so on. You’re also going to have to pay for all that headhunting whether you do it yourself or if you have an HR team work on it. And then of course there’s time and costs spent on training the new people you bring in. How about workflow? Does your current software cover what you need with more people or new services coming into play? If not, can you afford the time and expenses of trying out different software bundles? Are you comfortable with installing new hardware (e.g. servers), and if not, can you afford to keep an in-house tech person? It gets pretty heavy, doesn’t it, when it’s your firm on the line? Happily, BOSS is here with a solution that can help you see your way clearly to expansion while significantly reducing the risk – accounting outsourcing. Let’s start with all that overhead of creating a physical environment for additional workers. Put simply, there is none, or as good as. Depending on just how big you get you may wish to bring in someone who acts as the liaison to your overseas workers, acting as a workflow funnel. But even this can be assigned to someone already in-house (don’t worry, we’re happy to show you how to get this up and running in a quick and easy fashion). The second factor that accounting outsourcing touches upon is no more HR hiring and firing of staff. BOSS’ overseas pool of readily available staff is deep, and you only take on the amount of people you need for the work at hand. If you continue growing you just tell your designated overseas manager and they’ll arrange to have additional talent brought onto your workload. Easy, right? Training costs? Pretty much gone. 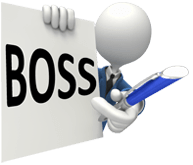 All of BOSS’ overseas accountants are fully versed on Australian and New Zealand’s accounting best practices. There will be a period of adjustment as you instruct your outsourced accountants about how you like your workflow to proceed. But after that the work just keeps on flowing and all you need to do is take a peek once a month (you designate how often you’d check up on your team) to tweak things until you’re completely satisfied. Software and hardware? BOSS’ accountants are up on pretty much any accounting software you’d care to name. As for hardware, it can be completely unnecessary to add anything extra on your end if you choose to go with our cloud computing option. We know it’s hard to see for sure the best moves to make for your own firm. But we believe we can make your expansion options much clearer with our accounting outsourcing solutions. We invite you to take a look at our offerings and see for yourself.